Me: How much of this was expected? Debarnob: Pretty much I’d say. Most of the times an interviewee has a fair idea of his/her chances once they are done with the interview. After my interviews, I had a feeling that I have good chances of making it. They didn’t grill me too much, it was more like a conversation where they tried to find out more about my work experience, CFA and my opinions on various other issues. Me: You were a part of the iQuanta Crash Course. How did it complement your preparation? Debarnob: Last year, I appeared for the CAT examination to figure out where I stand and which are the areas I need to work on. I got 98.61%ile and I realized that Quantitative Aptitude, Data Interpretation, and Logical Reasoning were my areas of strength. 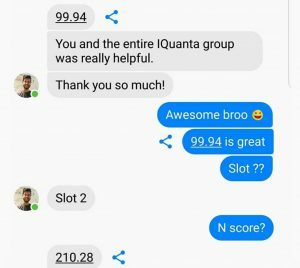 This time, I just had to brush up the concepts through intensive practice and this is where CAT Preparation – iQuanta group helped me. I had to spend 10-12 hours at work and it was imperative that I solved questions while I was at work. Indrajeet Singh regularly posted questions on his group which were similar to the level of CAT. This kept me in constant touch with the kind of problems I faced in CAT. Me: How can one maximum use of the last month courses to enhance their preparation efforts? Debarnob: In my opinion, people should try to solve as many different kinds of problems as possible in the last couple of months before CAT. I’ve observed that many aspirants solve too many questions of the same kind before CAT. (The questions they are most comfortable with) In that case, even if one is solving 100 questions in a day, they are essentially solving just 3-4 questions because rest are just clones. My advice for them would be to get out of their comfort zones and solve as many questions of different types as possible. Attempting an unknown question can only help you. Either you’ll be able to solve it which in turn will boost your confidence or you won’t be able to solve it, in which case you get to learn something new. Hence it’s a win-win scenario. CAT aspirants should chalk out their plan and strategize smartly. Smart work always outdoes hard work. Me: IIM A, B, and C, all three of them! What did you tell them in the interviews that you think got you through? How did you prepare for your interviews? Debarnob: I had prepared for my interviews in a very systematic manner. All the questions of an MBA entrance interview can roughly be classified into 3 types i.e. academics, work experience and hygiene questions. I knew I wasn’t going to be questioned much about my academics because I had about three years of work experience at Goldman Sachs. I prepared two subjects from Engineering to cover that line of questioning. As far as work experience is concerned, I made sure that I have a clear understanding of the work that I do or the projects that I’m a part of. My preparation for the hygiene questions included my personal life, hobbies, current affairs, places I have stayed at and other experiences that have shaped my personality. Most of the interviews begin with very open-ended questions like, ‘tell me about yourself’. I had written this answer about 15 times over to make sure that my answer guides the interview in the direction I wanted. I tried to have enough background knowledge of every single thing that I mentioned in my intro. I was very honest with most of the questions which helped me. Me: Is there anything which stumped you during the interviews? If yes, how did you tackle it? Debarnob: Oh yes! At my IIM Ahmadabad interview, one of the interviewers pointed to an empty glass kept in front of me and asked what can one do with it apart from its obvious utility of using it for drinking purposes. All my systematic preparation was in vain and I was completely blank for a few seconds. My first answer was that you can invert it to cover something but the panelists did not seem satisfied with it. They asked me to give it another thought. I don’t know why, but I said, ‘It is an empty glass, you can sell it off’ and they broke out laughing. ‘Spoken like a Goldman Sachs employee, you see a thing and selling it is the first thought’, remarked the professor. So yes, this was the only incident where I was stumped for a few seconds. Next articleShould I leave Job for CAT Prep or Not ? Quiz: 12 Words Most People Don’t Know. Do You? 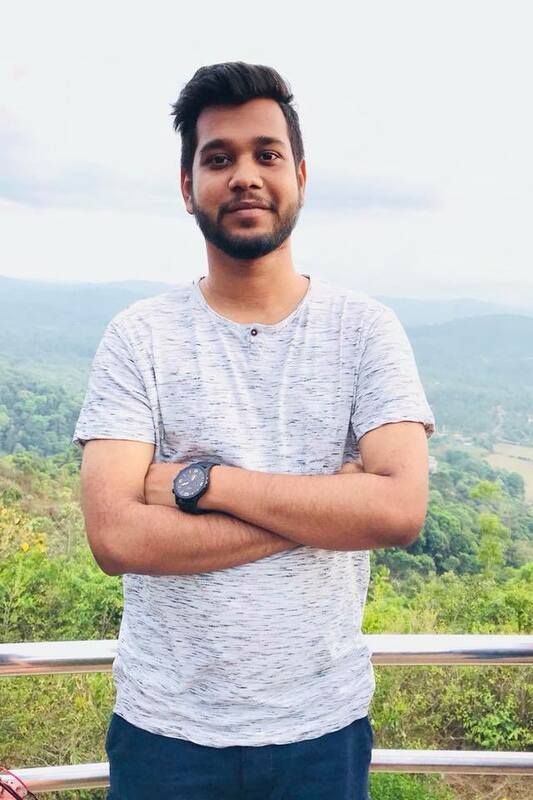 How a small town guy made it to IIM Bangalore !! We are a team of experienced faculties and mentors who have taught 5000+ MBA aspirants and helped them to qualify for best B-Schools across the country. In a short duration of 3 years we have more than 100+ students in IIMS,30+ in XLRI,20+ in IIFT,10+ in FMS and many in other good B-Schools like NMIMS,SIBM,SCMHRD ETC.